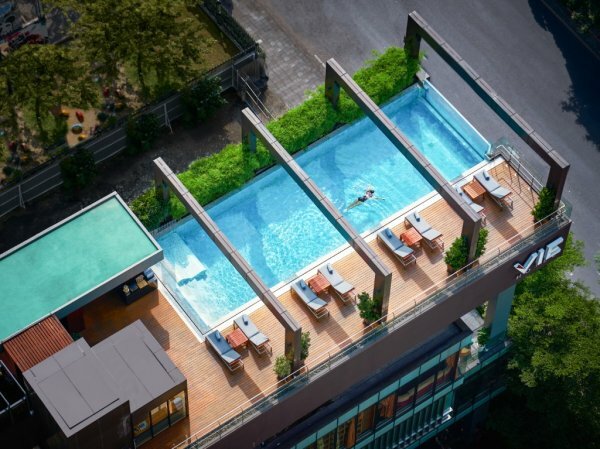 VIE Hotel Bangkok, MGallery Hotel Collection, is a 5-star designed hotel and creation of renowned French architect J.H. Boiffils with a spellbinding atmosphere and complete with works of art, exotic furniture, soft shades and audacious colors. Conveniently located in the heart of the city, it is just steps away from the BTS Skytrain Ratchathewi station and within walking distance of a range of shopping malls such as Siam Paragon, Siam Center, Siam Discovery, Central World, Central Embassy, EmQuartier, Platinum Mall and MBK Center. Accommodation consists of 154 duplexes, spacious rooms and suites. 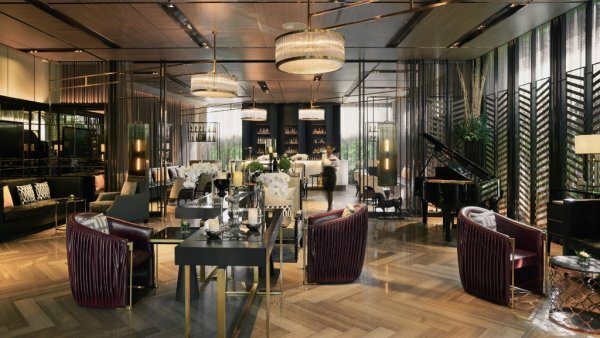 Dining options are superb with acclaimed La VIE – Creative French Cuisine as well as YTSB – Yellow Tail Sushi Bar, which is touted as the best sushi bar in town. The hotel also features VIE Spa, fitness with WE Signature Club and our outstanding rooftop VIE Pool as well as meeting and wedding venues. Extend your unforgettable getaway with us with a free stay on your 3rd night with our Stay Longer, 3rd night free promotion! 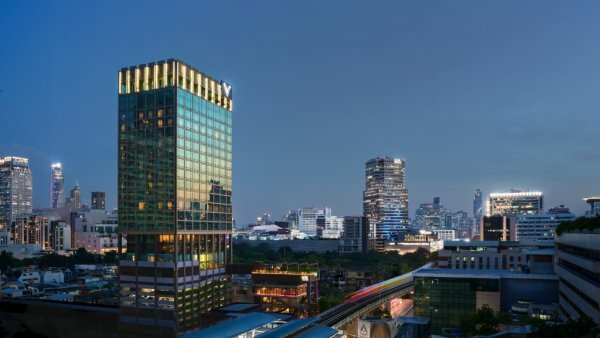 Only steps away from the BTS Ratchathewi station, we offer easy access to the famous shopping centres, such as Siam Paragon, MBK, Central World, sightseeing and entertainment that makes your stay fabulous. 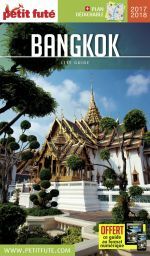 Your Summer in Bangkok will sure be a memorable one. Secure your room at an exceptional rate by booking early! Save up to 20% when you book your stay 21 days in advance on our official website. Hotel très sympa, cuisine de rêve ! Nous n'y sommes resté qu'une nuit, mais nous avons pu apprécier la qualité du service, les nombreux atouts de cet hôtel, la piscine, le spa, sa proximité avec tous les plus grands centres commerciaux de la ville, mais surtout le restaurant qui sert une cuisine raffinée, avec d'excellents produits !Rien que pour cela, nous recommandons fortement le Vie ! Amazing view from top terrace restaurant with Bangkok at our feet. Great atmosphere in the hotel. Very well appointed rooms. Good location close to the shopping area in Bangkok but rather calm street.